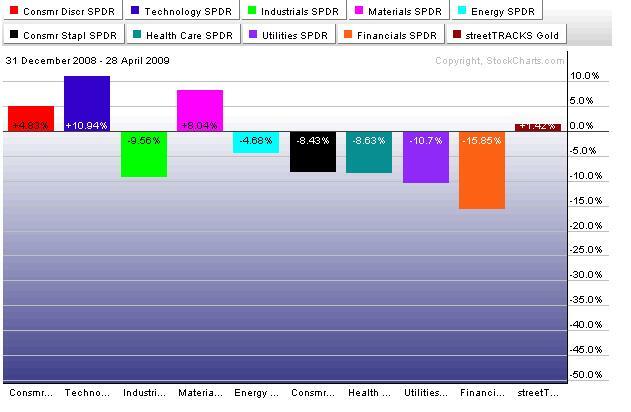 Even with the incredible run since the March lows, financials are still the worst YTD. As Charlie Gasparino would say (over and over again), the situation is fluid. Full Disclosure: My commentary above is strictly a recap of historical data and does not in any way constitute investment advice or an invitation to buy or sell any securities. See my Terms & Conditions page for a full disclaimer. October 13, 2009 Remember the Last Time Intel Reported?